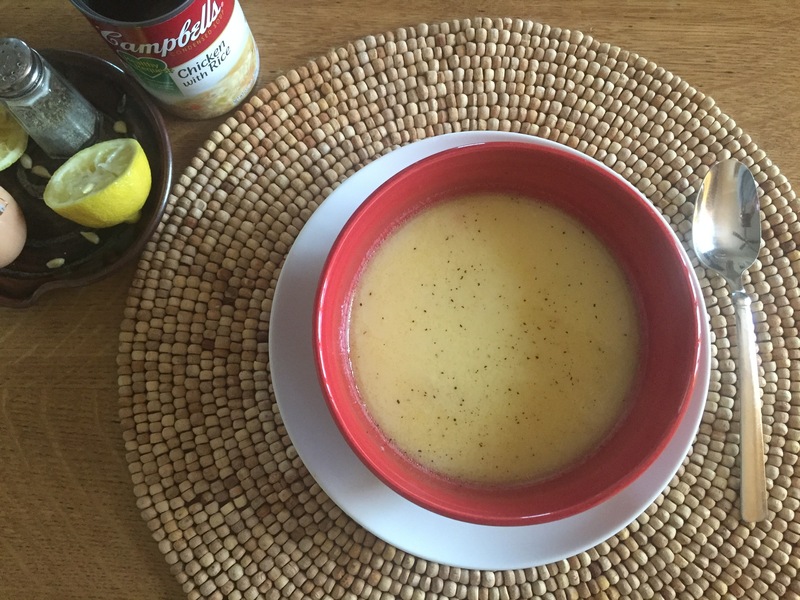 Egg Lemon Soup, or Avgolemono as it’s called in Greek, is a family favorite of mine. The traditional way of making it involves making your own broth by boiling a chicken. This version is a simplified one that works for me and gives me enough of that taste I remember growing up to comfort me on a cold day or if I’ve got a cold! Pour the can and equal part of water into a pot and start to heat on medium-high. While it’s heating, whisk the egg in a bowl until frothy. Add lemon juice and stir. Then add this egg-lemon mixture to the pot before it’s hot and continue to heat slowly being careful not to let it boil (or the egg will curdle). Add a dash of pepper before serving and enjoy!